Question: I’m hooking up an air compressor in my shop. It is a dual voltage, 8A/240V, or 16A/120V. I have a 15A 120V single receptacle on a dedicated circuit that used to run my old compressor. It used to only draw 7A on 120V, and it was not a dual voltage motor. Do I have to run a new circuit to the compressor? It is about 40ft. from the panel, and the walls are all finished with plywood and insulated. Answer: Because your new compressor is dual voltage, I have a much better solution to your problem, especially in this particular situation. 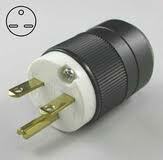 The best thing to do here is to convert your existing dedicated 120V/15A outlet, to a 240V/15A receptacle. As long as your panel isn’t completely full, and you have a couple of vacant breaker positions (you really only need one extra), this isn’t too big of a job to tackle. Whenever the option is available, it is best to connect a dual voltage motor to the higher voltage. 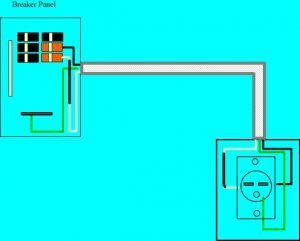 This article better describes why: Should I Connect My Motor to 120 or 240 Volts. Here is what we have to do to make this change in the circuit to convert it from 120V to a 240V supply. First, you must be absolutely certain that the outlet in question is indeed the only outlet on this circuit. Do so by physically tracing the cable if possible, and if that’s not possible then shut off the breaker and make sure that nothing else in the shop is off that shouldn’t be. Check every outlet for power, inside and outside of the building. This is critical as you don’t want to inadvertently have 240V present on a 120V receptacle! If the compressor is supplied with a cord, you will need to change the cord end to a 15A, 240V cord cap, and the receptacle to match (NEMA 6-15R). 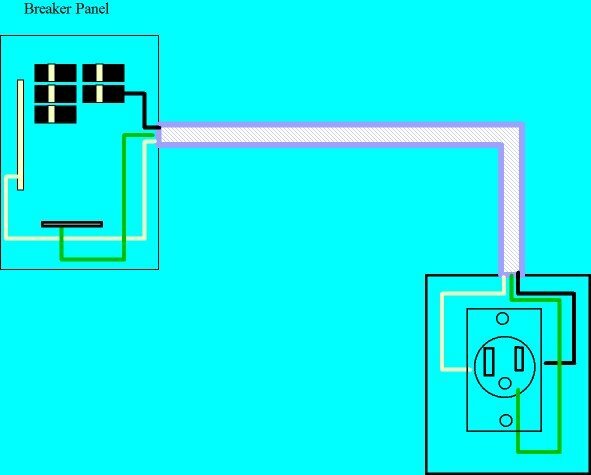 In the panel, you need to shut off the main supply to this panel, whether it has a main breaker, or is supplied from the main service as a subpanel. You will be working amongst other hot wires and buss bars so best to shut it off completely and arrange for some battery powered light, or light from another source such as a generator or inverter. Ensure that you have identified the correct circuit breaker for this circuit, and now plan as to where you are able to fit in the new 15A/240V, 2-pole breaker. 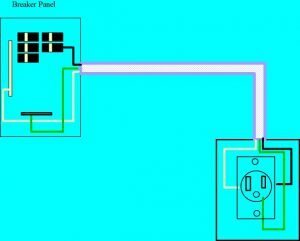 While you are allowed to add some length and make a splice inside the panel, it’s best if the wires will reach the new breaker location without doing so. Make sure that if you have to move breakers around to do this, take the time to modify the panel schedule to identify the circuit breaker positions that you moved. You must also make sure that the 2-pole breaker is installed in a position in the panel that picks up both legs of the 120/240V buss bars. Most breaker panels are designed so this is not possible, but some (one for sure is FPE, Schneider, Sta-blok) will allow this to happen, and has caused much grief over the years. 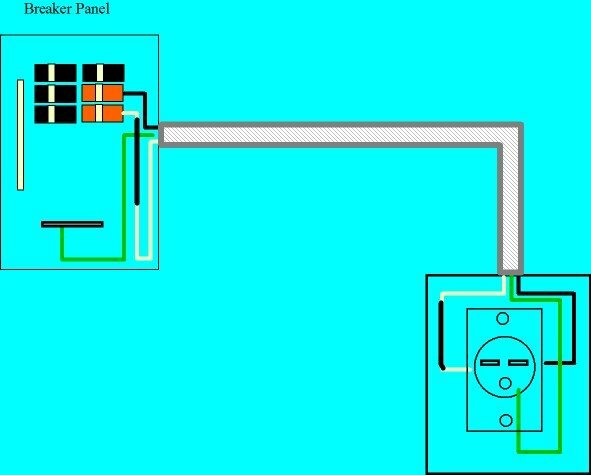 Now identify what neutral (white) wire belongs to this circuit by tracing the hot and the neutral right from the cable entering the panel, to the neutral buss bar. Check, and re-check that you have the neutral that belongs to this circuit or again, you risk putting 240V on a 120V circuit. Disconnect the hot (black) and remove the 1-pole breaker and remove the neutral (white) wire from the neutral buss bar. Install the new 2-pole breaker. Now you need to identify the white wire as a hot conductor. You do this by coloring a significant visible section of the wire with a black permanent felt marker, or use black or red electrical tape. Connect the black wire to one terminal, and the newly identified white wire to the other terminal. This is a good time to check that all the connections in the panel are nice and tight by re-torqueing them with the proper screwdriver(s). Now you are ready to install your new cord end and receptacle (if cord-connected), or hard-wire the compressor to the junction box with proper flex cable, connectors, cover-plate, etc., as required. You need to identify the white wire as a hot wire at the junction box as described above as well. You must also make the proper splices and connection in the motor junction box if it was previously set up for 120V supply. As you can see, arming yourself with some electrical knowledge can save you money. Taking the time to investigate your options, and learning how to do things properly and safely can be very rewarding. This entry was posted in Q & A, Wiring Projects and tagged 120 volts, 120V, 2-pole breaker, 240 volts, 240V, black wire, breaker, breakers, buss bars, circuit, compressor, cord cap, dedicated circuit, dual voltage motor, hot wire, hot wires, main breaker, main supply, NEMA 6-15R, neutral wire, panel, receptacle, subpanel, voltage, white wire, wiring an air compressor. Bookmark the permalink.